This may not seem like the obvious choice of location while embarking on your Euro trip, however it is one that CANNOT be missed. Whether you’ve never seen snow before or are an advanced snowboarder, the Austrian Alps has it all: powder snow, raging après-ski, fruity schnapps, giant schnitzel lunches and gorgeous ski instructors. The time I have spent on holiday there has been some of the most exciting weeks of my life. This might sound like an obvious and easy holiday to Europeans, but as a solo traveller from Australia, this experience appears far too expensive and difficult to organise with no knowledge of the area. It is extremely time consuming to research the different mountains and surrounding accommodation. Also, this is typically a holiday that Europeans go on with their friends who have chalets. It is not backpacker friendly and there are barely any hostels. Nonetheless, I have gone three times in the last year and have found a number of ways to do it solo as a backpacker. I’m not a fan of organised tours, particularly where you ride around Europe in a bus for most of the day and see all the sights in 24hrs. However there is a definite exception for this kind of experience and is perfect if you’re by yourself. 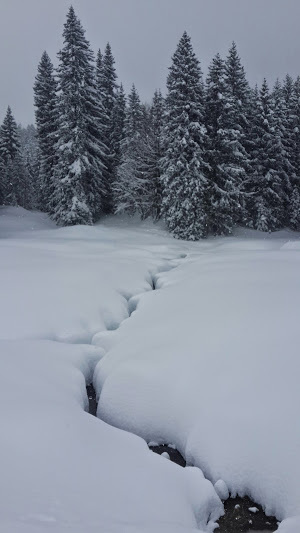 In this case with a tour there is no rushing around; you stay in a Chalet for the week in a popular ski town and it is all organised by the company. 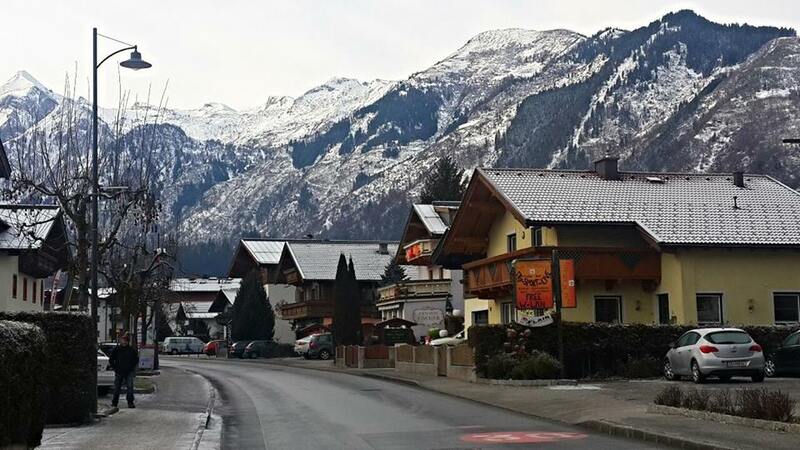 During the week with Topdeck you stay in the town of Kirchdorf in Tirol with a group of 10-20. Your accommodation is a beautiful chalet run by a local couple, and their home made cooked breakfasts and warm nature make it feel like a home away from home. 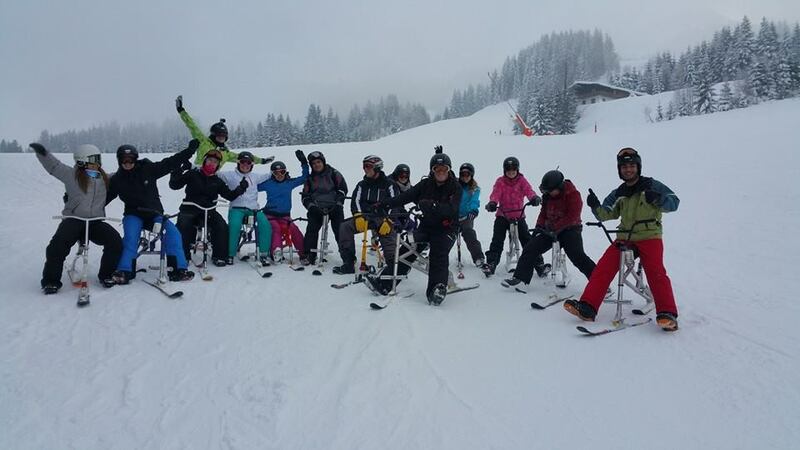 The Topdeck leader lives nearby and organises your ski pass, rental equipment and any lessons you may need. 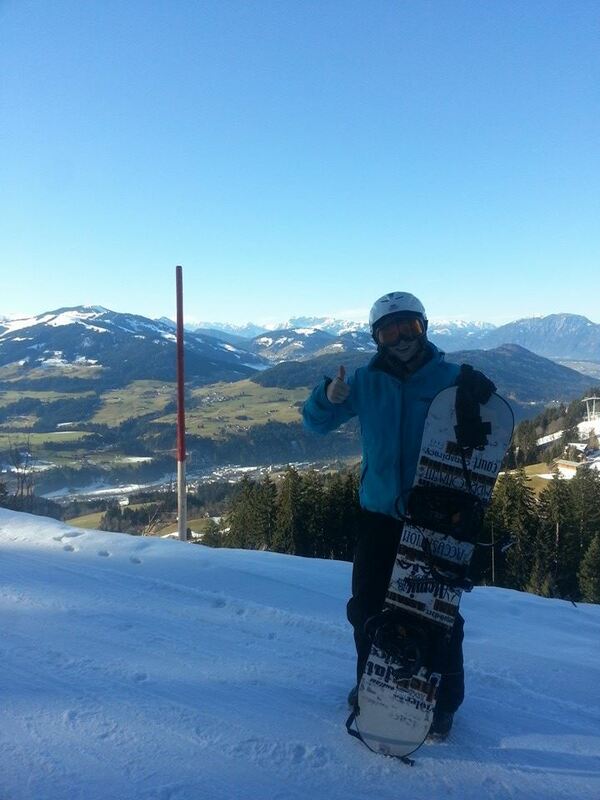 The local mountain Kirchdorf is 15mins walk away and great for beginners as there are only 3 runs. However if you want to be challenged you can get the most common ski pass which includes more than 5 other close mountains including Steinplatte and St Johann. 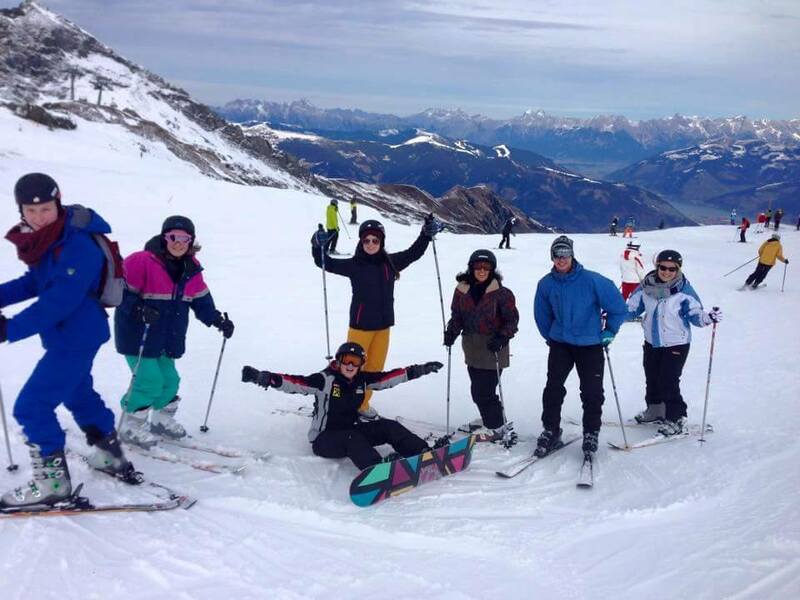 After a day on the snow Topdeck organises some great activities such as night tobogganing, snow biking pub crawl, dinners and parties. However it’s very relaxed and none of these are compulsory; you can do what you want. 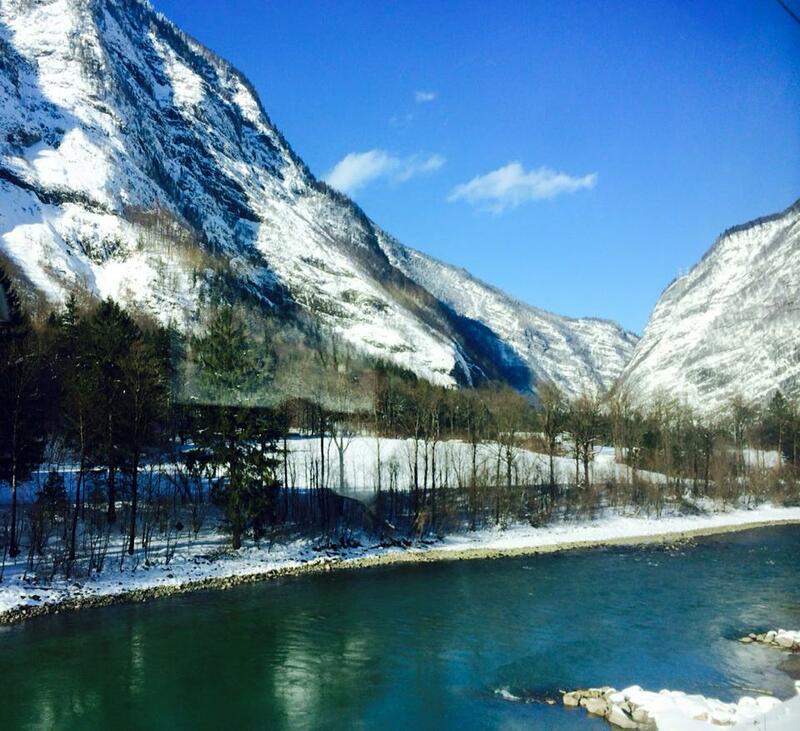 There is a real opportunity to be immersed into the Austrian culture as you spend most nights in town attending local pubs and the ski school events. Within my group there were some people who drank all night every night and others who just had a few with dinner, so you can make the week what you like. For the entire week it cost me €1400, with €550 being the price of the tour itself. On top of this was equipment rental, ski pass, lessons and all food and drink. Meals aren’t organised unless you request them to be, and most nights we would go to the local “Scotty’s” for a €3 burger. Therefore there are ways you can easily save during the week. Is this option for you? This suits any kind of experience you want to get out of the week. It is an extremely social week and the age group is roughly mid 20s, but it is not all party focused. There is a huge benefit of being able to experiencing multiple mountains during the week. I would highly recommend this option if you were travelling by yourself. If you’re with a friend or a group, this is the best option for you. Although it will take a bit of time to research which mountain and accommodation to stay at, you will save a HUGE amount compared to a tour. 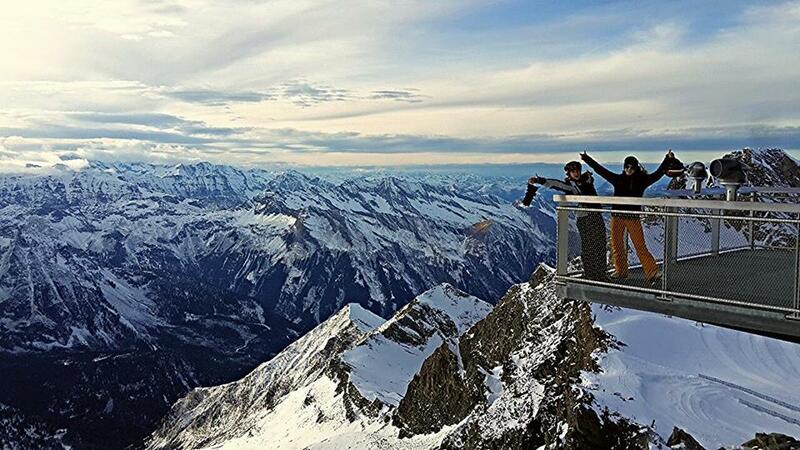 I would recommend going to Kaprun; it is a glacier and has incredible snow and views all year around. The ski pass also includes Zell Am Sea mountain (its neighbour), which is significantly bigger in case you want some variety. This was by far the best place I have boarded and stayed at in Austria. To get there, you can take the train from Munich, Germany with a stop most likely in Worgl (across the border in Austria). You can buy tickets either in advance online or on the train itself (which turned out to be cheaper). 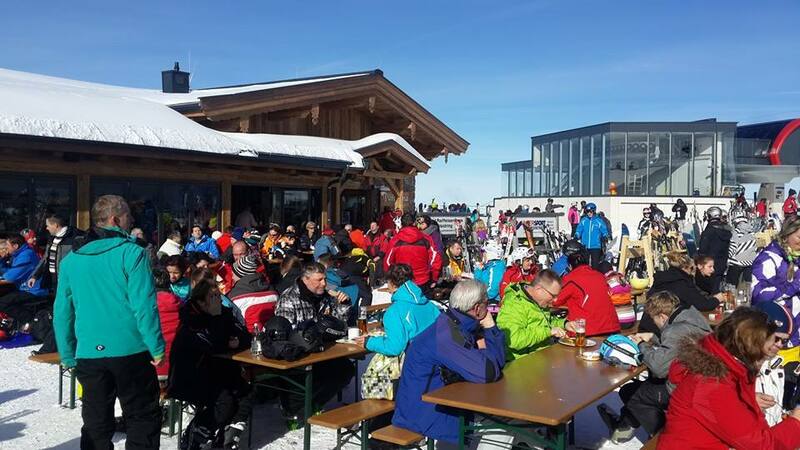 Kaprun mountain has a crazy amount of fun apres ski bars as well as lunch spots on the mountain. There is also a a cinema and stunning viewing platform at the top 3000m high, accessible via the underground museum which is about the mountain. Within the town there are plenty of authentic Austrian and modern restaurants, as well as lively bars. Picking accommodation was the most time consuming part and I would highly recommend where we stayed, Haus Katharina. It is a beautiful chalet at the bottom of the Kaprun mountain and a short 10min walk from the town centre. They offer self contained apartments for up to 5 people at a very cheap price. There is a free ski bus that runs from both Kaprun and Zell Am Sea mountains, going through the towns reguarly to take you back to your chalet. 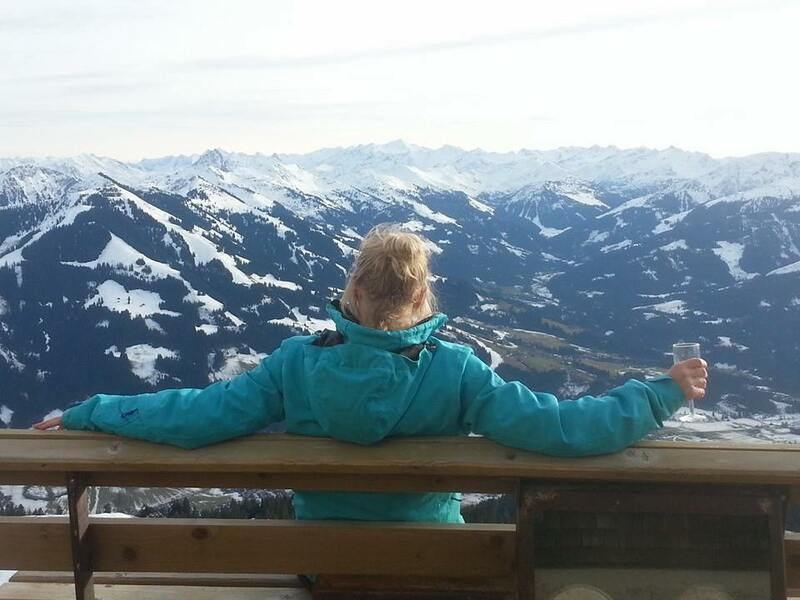 Ski passes cost around €40 and included both Kaprun and Zell Am Sea. Accommodation cost €20 per night (per person) in a self contained apartment. Equipment rental cost €20 a day for everything. In one week you can spend as little as €600 all inclusive. This is the result of buying ski clothing and groceries from the supermarket which are dirt cheap, as well as booking accommodation independent of a tour. If you are with another person or a group, this is the cheapest way to go. It is also just as enjoyable, as you can do whatever you want and aren’t restricted by activities planned. If you’re worried about not meeting people; don’t be. 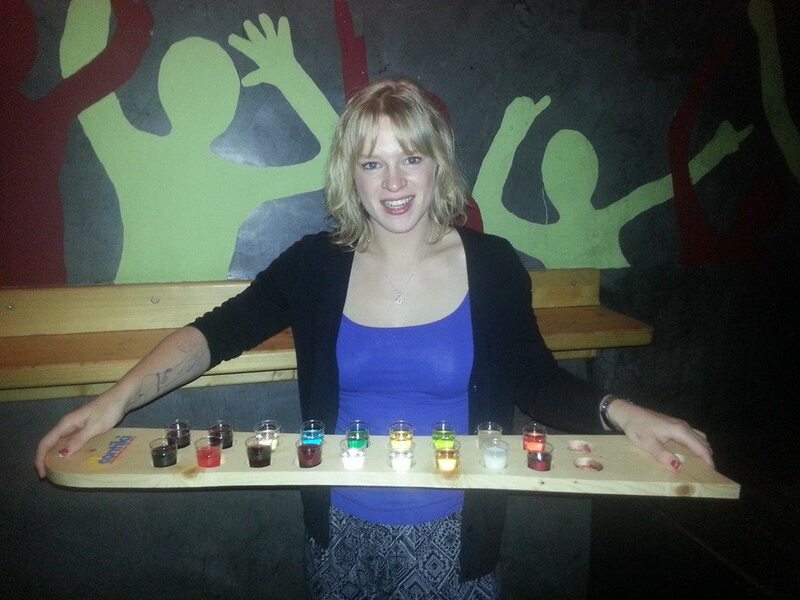 It is extremely easy at the apres ski bars. Everyrone there is on vacation and running on adrenaline so it is a very social and drunk environment! This worked in a similar way to the Topdeck tour however was a totally different experience. You have the option of meeting in London and taking an overnight Contiki bus to Austria (which most people did). Despite being a long journey, this was a great way to get to know everyone fast as we bonded over ice breaker games. We were a group of 100 in a huge 3 storey chalet, of which one of the levels had a bar and club. 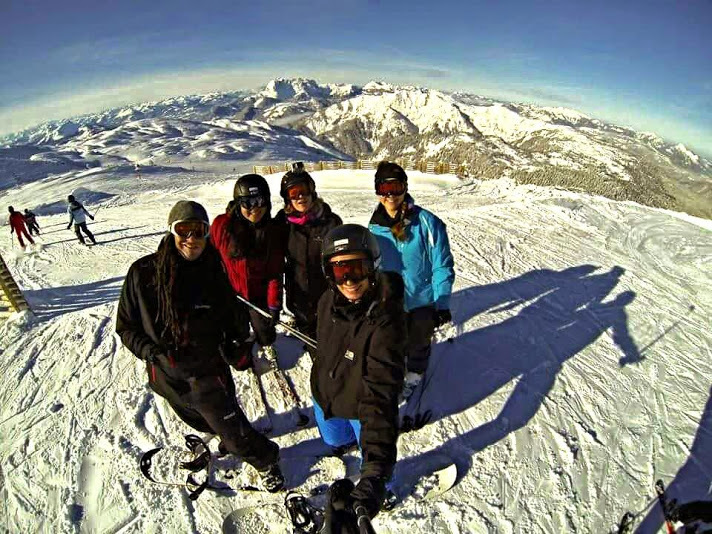 Contiki organised all the ski passes, lessons, equipment and clothing for us. 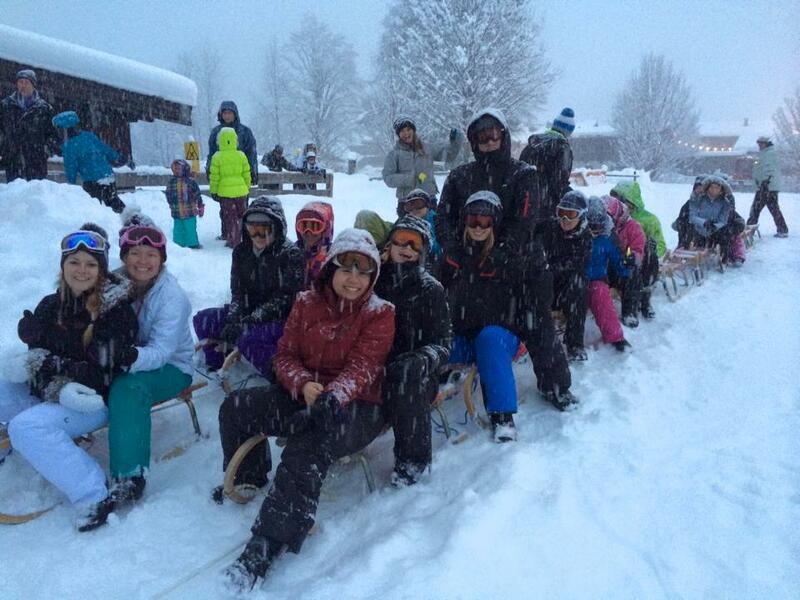 They also had extra activities planned like paragliding and traditional Austrian pub performances. The Hopfgarten mountain was quite large and suited all levels of skiers or snowboarders. There is a great atmosphere on this mountain with many lively restaurants and apres ski events everyday. There was a small learning mini mountain which the lessons were held on which was great for beginners. Contiki hosts crazy themed parties every night and most people stayed up until sunrise each morning. Drinking was a big part of the week and it was incredible fun to let loose after a long day on the mountain. As it was such a large group this was a great way to get to know everyone and I still keep in touch with most of the people I met. The entire week cost me €2100 all inclusive, with the tour itself costing around $1000. 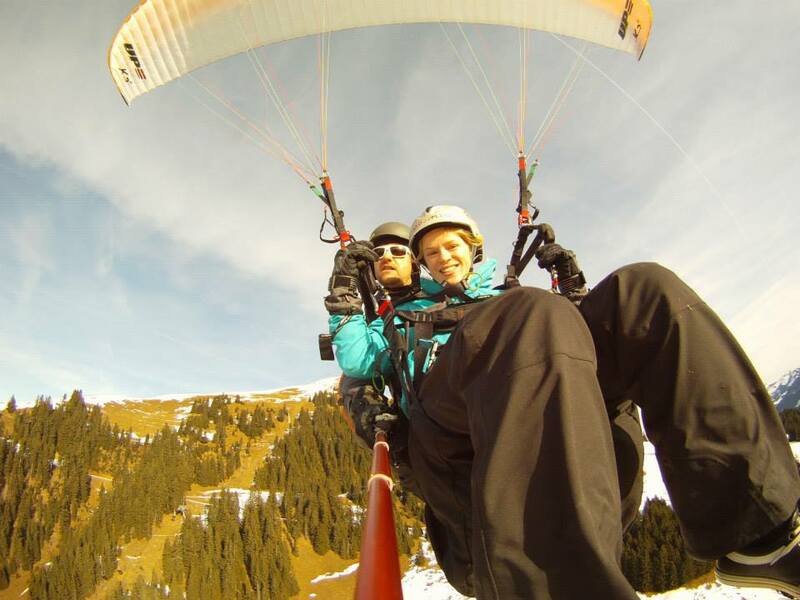 This is not a budget friendly option, however most of my cost went towards lessons, extras like paragliding and drinks at the bar, which could be avoided for others. Although they’re not expensive for Australian standards, you are drinking from 5pm until 5am most nights and this adds up very quickly! This was incredibly fun, however you didn’t get much immersion in the Austrian culture as you stay in the chalet most of the time. Contiki did organise a few dinners and nights out in the town which were great, however when a giant Contiki bus rolled up to a small pub with 100 drunk Australians, we kind of killed the local buzz. If you want to experience an awesome week on the snow and party crazy hard with new and fast friends, this is the tour for you. No matter your travel or financial situation, don’t miss out on one of the best experiences in Europe! 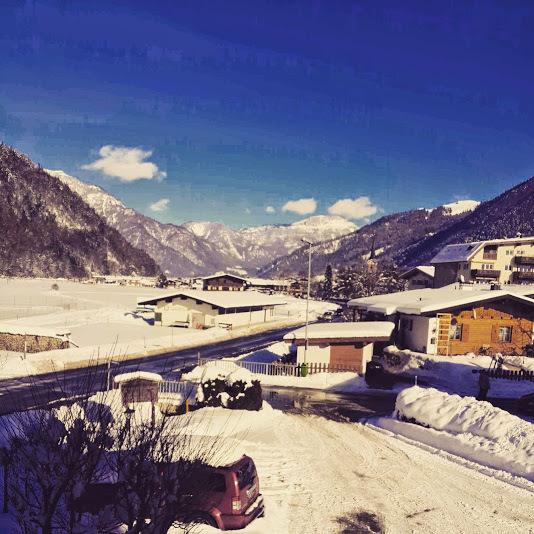 This entry was posted in Austria, Blog, Travelling solo and tagged alps, austria, Austrian alps, Contiki, Hopfgarten, Kaprun, Kirchdorf, Ski Contiki, Ski Topdeck, snow, snowboarding. Bookmark the permalink.